In the interest of safety, the Committee is canceling the Summit meeting that was scheduled for January 20, 2019, at Our Lady of Sorrows in Monroe. We apologize for any inconvenience. If you would like to provide feedback to the Committee on ways to further improve Catholic Scouting in the Archdiocese of Cincinnati, please review the documents below and send any feedback to the Committee at chair@archcincyccos.org. Thank you for all you do for Catholic Scouting! We are proud to announce the release of our new website, www.archcincyccos.org! This website will be the new digital home of the Archdiocese of Cincinnati Catholic Committee on Scouting. It will be kept up-to-date with the most recent news, including announcements, upcoming events, any updates to programs, and more. Please explore the new site, and if you have any suggestions or edits, please feel free to reach out to Communications Chair Joe Shaver at communications@archcincyccos.org or Committee Chair Tom Wiles at chair@archcincyccos.org. Thank you! 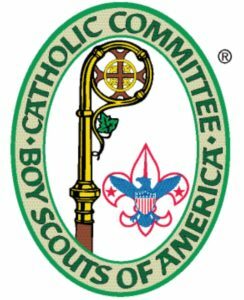 What is the Catholic Committee on Scouting? The Archdiocese of Cincinnati Catholic Committee on Scouting (ACCoS) is a committee of Catholic lay people that promotes the mission of Scouting is Youth Ministry. They accomplish this by reinforcing the twelfth point of the Scout Law of A Scout is Reverent throughout the local Boy Scouts of America councils and Archdiocesan youth groups. The committee works with the Archdiocese of Cincinnati Office of Youth Evangelization and Discipleship to strengthen the presence of the Catholic faith in Scouting. The Committee serves the following councils of the Boy Scouts of America: Dan Beard, Miami Valley, Tecumseh, Black Swamp, and Simon Kenton.